WEB CLINIC. Remote diagnostics projects. WebClinic implements the presented projects for medical facilities with diverse specialization. By virtue of our technology, healthcare facilities are capable of diagnosing their patients quickly and efficiently. From the start, the company developed new applications of remote diagnostics, which are now successfully implemented in over five hundred medical institutions within Europe. Our company was one of the pioneers to use telemedicine technology in Russia, i.e. 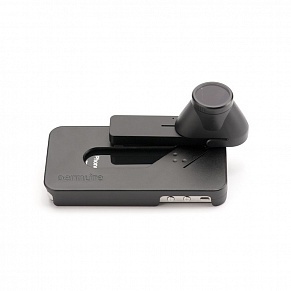 remote cardiac monitoring, ECG transmission by phone. Today, we remain the largest supplier of telemedicine services for legal entities and individuals. By virtue of our technology, the hospitals are conducting medical diagnostics of their patients quickly and with a good quality. Web ECG system will improve the efficiency of your medical center without any additional investment in equipment and staff. 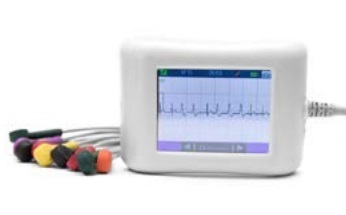 The Web ECG system has been successfully used in clinical practice for over 10 years, and is widely accepted as convenient remote cardiac diagnostics system. 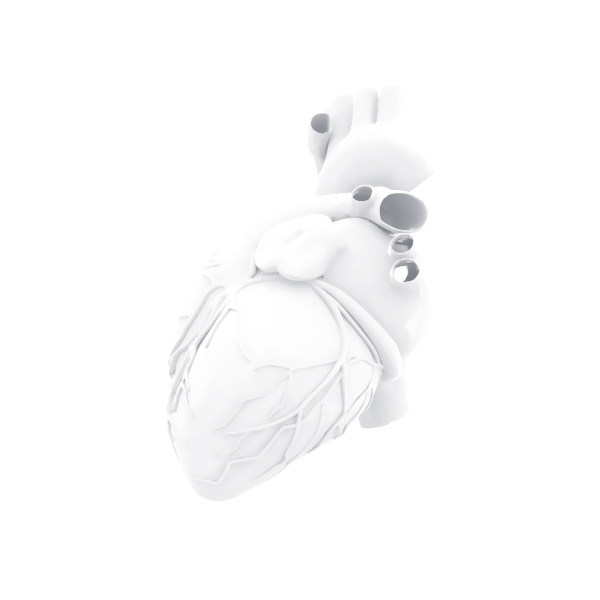 WebClinic will allow you medical services for ECG recording by the patient at home, by the medical staff within the clinic, or by an emergency teams with data transmission via cellular, landline telephony or cardiograph Internet channel. WebECG system will improve the efficiency of your medical center without any additional investment in equipment and staff. Remote system for 24-hour monitoring. 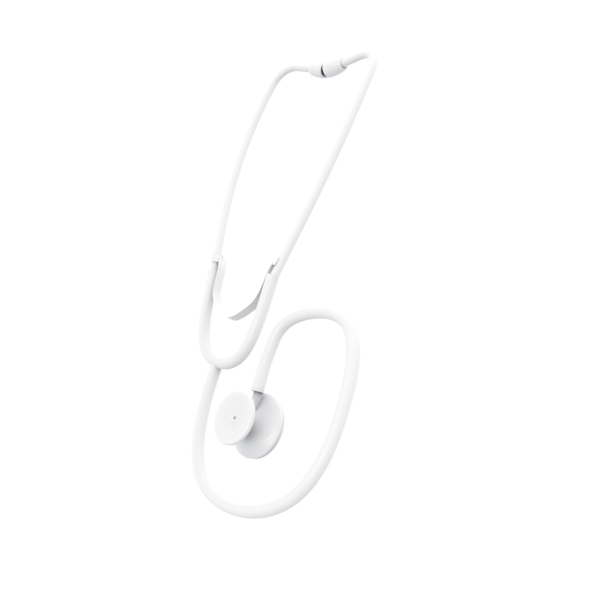 Web Holter system is the 24-hour monitoring project within one day, which will allow to increase the efficiency of your medical center without any additional investment in equipment and staff. 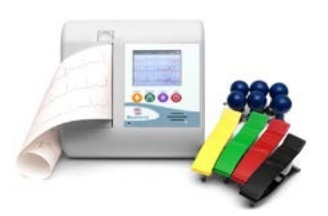 24-hour ECG/blood pressure monitoring is accessible for any institution or individual. Today, only a computer connected to the Internet is needed for this purpose. WebClinic will take care of the rest. Well Skin is designed not only for medical institutions, but also for cosmetic and beauty salons. Well Skin system is a noninvasive “in vivo” procedure with immediate effect and a diagnostic center 24 hours a day. Well Skin dermatoscope is a versatile device, which can take and transmit a high-definition picture of the segment of the skin. Web EEG system exemplifies modern approach to the classical neurological examination, which will allow to increase the efficiency of your medical center without any additional investment in equipment and staff. 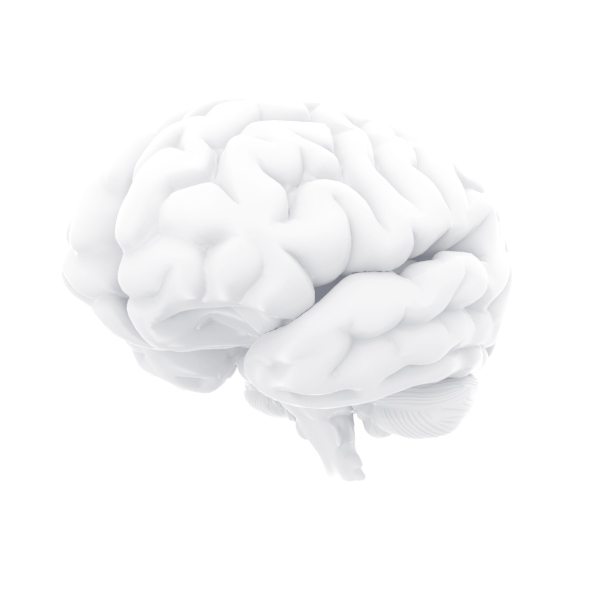 Electroencephalography ensures qualitative and quantitative analysis of the functional state of the brain and its reactions under the influence of stimuli. EEG recording is widely used in diagnostic and therapeutic procedures. Web Rentgen is a simple and convenient online service, which will allow to receive diagnosis and advice of the highly qualified radiologists round the clock. Using X-ray, radioscopy, fluorography, or computed tomography, the doctor is able to analyze the condition of body organs and systems without invasive intervention. This feature makes X-ray one of the most important methods of diagnosis. To register a standard ECG wear two bracelets enough to the electrodes on the patient's wrist, one electrode to lay the strap and make an entry in the three positions. Remote diagnostic Center is open 24 hours, 7 days a week. 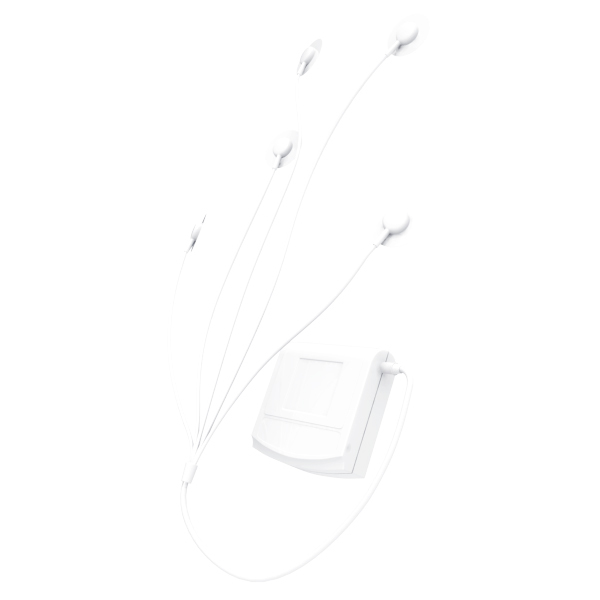 Web Holter system is the 24-hour monitoring project within one day, which will allow to increase the efficiency of your medical center without any additional investment in equipment and staff. Recording of systolic/diastolic blood pressure and heart rate. Convenient and reliable cuff for extended wear. Indication of measurement results and battery level. A button for emergency starting and stopping the measurements. 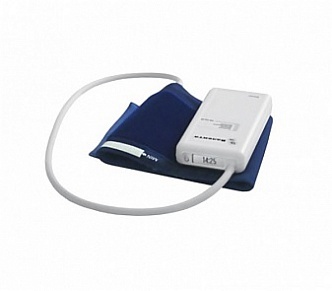 Valenta Holter ECG monitoring complex. Continuous 24 hour recording of ECG via 3 leads. A premium complex on the basis of MitsarEEG-10/70-201 electroencephalograph with extended bandwidth is designed for clinical EEG examinations in the departments of functional diagnostics and neurology. 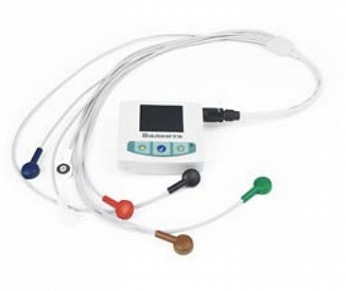 The encephalograph is equipped with mobile photostimulator with red and white LEDs, as well as the software with a specially selected function set. 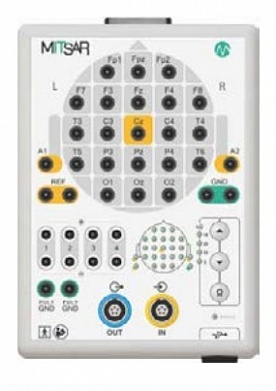 Allows both screening and long-term EEG studies. Does not require training of additional skills of the staff. The software is automatically switched into the correct operation mode, with specifically prescribed examination scenarios. The study file is generated automatically and is transmitted to WebClinic diagnostic center in one click. Helmet with removable Ag/AgCl-electrodes 26 Ag/ AgCl MCScap-E electrodes (24 + 1 GND+ 1 spare). 2 ear adapters for attaching the electrodes to earlobes. 2 helmets of any size with locking rings located according to the layout 10-20. Well Skin dermatoscope is a versatile device, which can take and transmit a high-definition picture of the segment of the skin. compare the pictures taken on the basis "before" and "after"
FlexiDiagnost Compact system means high reliability and continuous readiness for use, which is achieved through application of the innovative technologies by Philips. 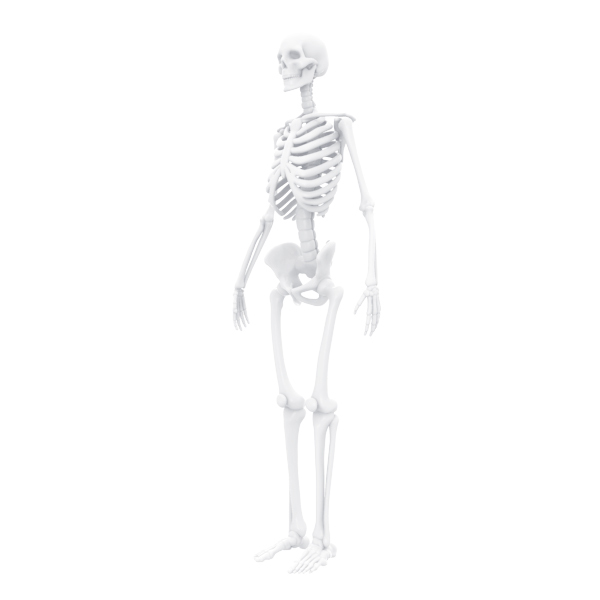 The development of digital radiography provides new opportunities in assisting the growing number of patients, while reducing the costs by increasing the effectiveness. FlexiDiagnost Compact (compact room) possesses extensive diagnostic capabilities. 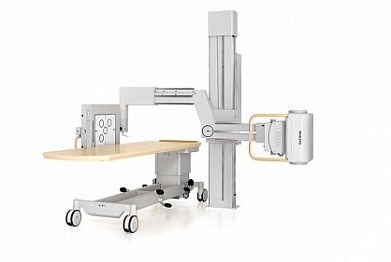 The geometry of the U-arc provides broad options as to the positioning patients and turns even a small premise with a standard ceiling height into an efficient multifunctional room for digital radiography. FlexiDiagnost Compact (compact room) possesses extensive diagnostic capabilities. The geometry of the U-arc provides broad options as to the positioning patients and turns even a small premise with a standard ceiling height into an efficient multifunctional room for digital radiography. Under Radiology-Standard program, we provide highly qualified specialists to process the study findings obtained on your radiological equipment (CT, MRI, PET, X-ray). Using X-ray, radioscopy, fluorography, or computed tomography, the doctor is able to analyze the condition of body organs and systems without invasive intervention. This feature makes X-ray one of the most important methods of diagnosis.